This A2 interactive poster is a summary of the tenants of faith that are incumbent upon every Muslim to believe in. 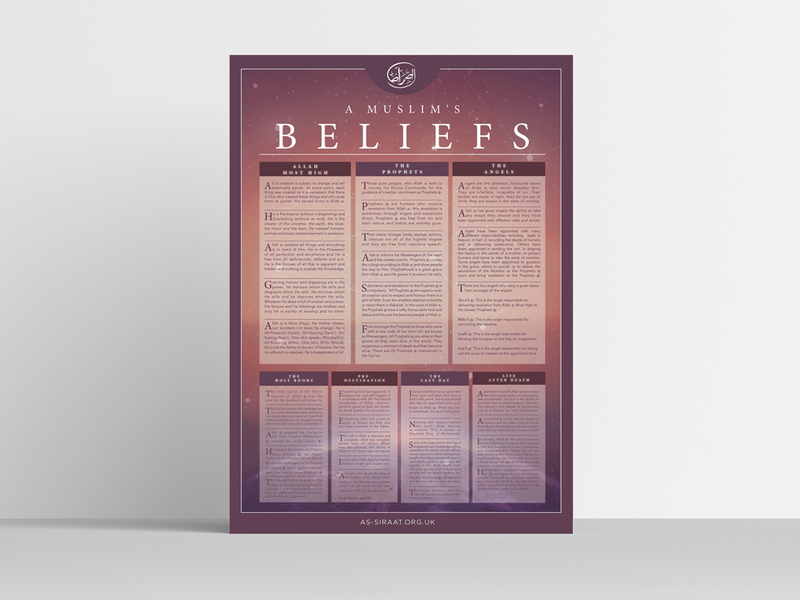 Detailed yet concise, this poster serves as an introduction to the science of Aqidah and can also be used as a learning guide for students studying the 7 articles of faith. The poster has been clearly divided into 7 sections and has an easy to follow layout, enabling memorisation of the information detailed in a systematic way.